Unveiling the treasures of astounding monuments and nature's marvels, Malaysiastill stands as one of the most sought after tourist spots in the world. 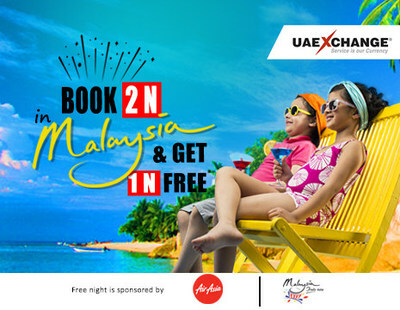 Perfectly tuned to the rhythm of customer preferences, UAE Exchange India has always catered with exclusive packages for Malaysian aspirants, elevating itself to become the Top Tour Sales Agent of Air Asia and Malaysian Tourism for two consecutive years. Book Malaysian tour packages from the best tour seller, UAE Exchange India and put all worries to rest. Being the winner of Assocham Services Excellence Award 2017, NBSL Awards 2017, and much more, the company has relentlessly proved its mettle for excellent tour services at various renowned forums. With IATA Accreditation, Ministry of Tourism approval and being an active member of TAAI, the company has always maintained a track record of optimized service trends throughout the trajectory of business across its 370 plus branches for almost two decades. UAE Exchange India stands ahead as one of the pioneer financial service providers, extending a holistic financial supermarket to serve and satisfy varied needs of the customers. Apart from being a forerunner in the financial arena, the company has laid a cornerstone of its strong set of ethics by spreading the message of financial amenities. Connecting people and creating progress with the finest of quality is the vision of the company. The company has been instrumental in providing cost-effective service in Foreign Exchange, Money Transfer, Air Ticketing & Tours, Loans, XPay Cash Wallet, Insurance and Share Trading. An ISO certified company with prestigious global associations, UAE Exchange has also been recognized and awarded for its quality and business excellence.